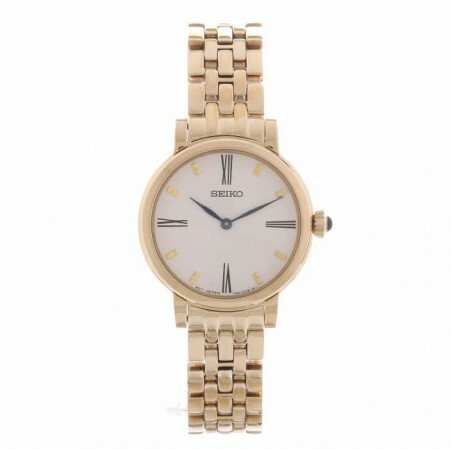 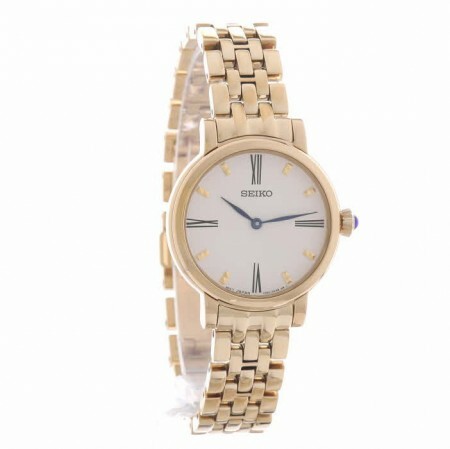 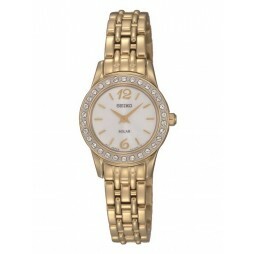 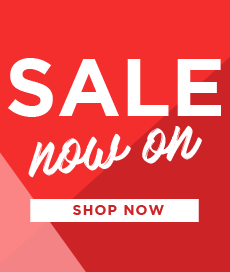 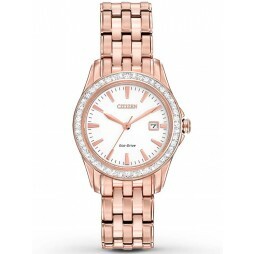 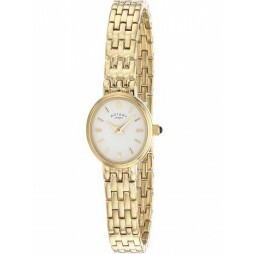 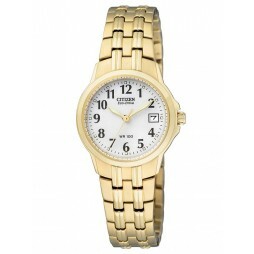 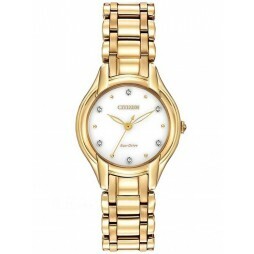 A genuine classic ladies watch that comes in a gold plated design. 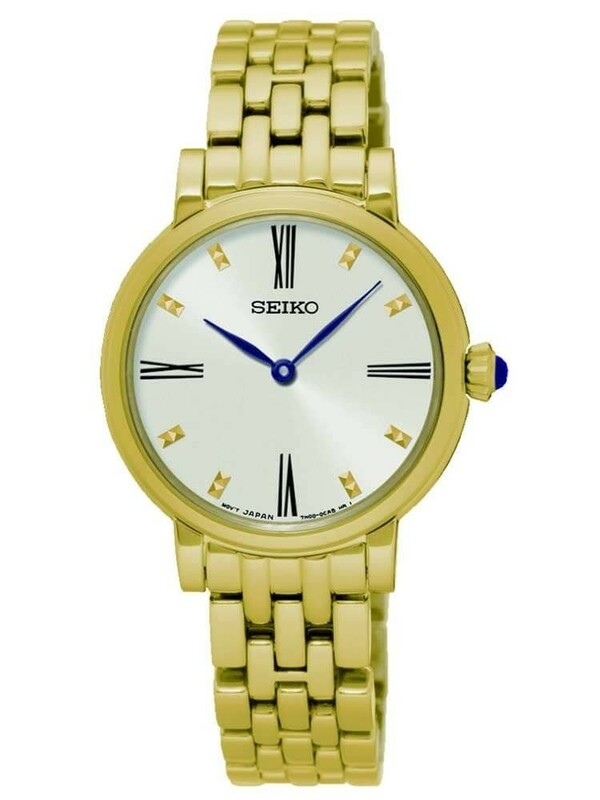 The white dial uses blue slim hands in conjunction with black Roman numeral and gold baton hour markers to showcase the 12hr display. 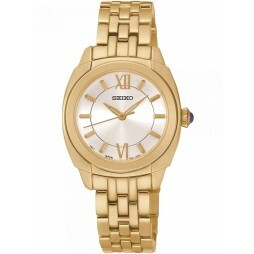 Hardlex glass allows for a 50 metre water resistance and the watch fastens using a stainless steel bracelet. 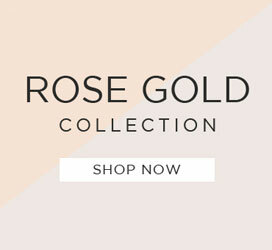 A blue cabochon stone finishes off the gold plated crown.